Dozier Law Group is committed to providing the finest quality legal work and individual attention to each client. 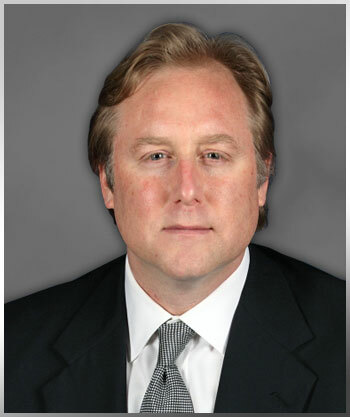 Founder and Managing Principal Brad Dozier has been practicing law and litigating complex cases in Georgia since 1993. Our motto is simple: treat every client as if they are our most important one. Dozier Law Group takes great pride in the close relationships we develop with our clients. Above all, the practice of law is about a relationship, one of trust and confidence. We work tirelessly to win the trust and confidence of those who hire us to represent their interests in matters of great significance. We understand that our clients come to us to resolve a problem, not to compound one. Through intense preparation and effort, we position our clients’ cases for the best possible result, whether through a negotiated settlement or a jury trial. We prepare each case, whether it involves a motor vehicle accident, trucking accident, defective product, premises liability, hotel and apartment liability, business dispute, or an employment-related claim, as if it will be tried to a jury. In many cases, our reputation for detailed trial preparation and proven results has produced significant settlements without having to go to trial. However, opposing parties are sometimes unwilling to try to resolve a matter in good faith. In that event, we will aggressively fight for civil justice before a jury. We have the resources necessary to bring complex litigation to trial if a favorable settlement cannot be reached. Most importantly, we make ourselves available to our clients. We often hear people say that they cannot reach their lawyers, their phone calls are not returned timely, or their lawyers do not keep them apprised of case developments. We will answer when you call, and if we’re not available when you do, we will return your call promptly. We keep our clients informed of all important developments in their cases timely, and we actively communicate from the start of each case through its conclusion. Good communication is a vital part of the attorney-client relationship, and we take that commitment very seriously. We consider it a privilege to represent a client, and our actions demonstrate that. Contact Dozier Law Group at (404) 949-5600 to discuss how we can help you with your legal issue. In most cases, initial consultations are free of charge. Dozier Law Group represents individuals throughout Georgia in personal injury cases on a “contingency fee” basis. This means that the firm does not earn a fee unless and until the client receives a financial recovery, either through a negotiated settlement or a jury verdict. If you or a loved one has been seriously injured, whether in a car accident, truck accident, a dangerous condition on another’s property, a physical assault in a restaurant, club, apartment or hotel, or through another’s carelessness or recklessness, the responsible parties should be made to compensate you for your injuries and damages. Clients with business and commercial matters typically are billed on an hourly basis for the work that is done. However, Dozier Law Group does and will represent individual and corporate clients in business disputes on a contingency basis or a “blended” fee basis. Typically, this arrangement is for cases involving contract claims where a client is seeking to recover money damages resulting from another’s breach of a contract, fraud or other improper conduct. Not all clients and situations are alike. As a result, Dozier Law Group works with clients to structure arrangements that best suit their particular financial circumstances and goals. Our goal is to provide the highest quality legal services to each and every client. We sincerely care about our clients and the results we achieve on their behalf. Our success is their success. We consider it the highest privilege for someone to entrust us with their legal issue. We take that great responsibility very seriously, and we work tirelessly to earn our clients’ trust and confidence. As a result, many of our clients are referrals from other clients whom we have successfully represented in the past. We get great satisfaction out of helping them recover all compensation the law allows.